Event Description Come out and try some of the highest rated craft beers in the country! 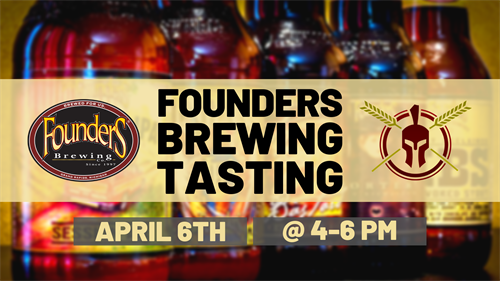 A rep from Founders will be here to give out free beer tasting samples and free Founder's schwag. 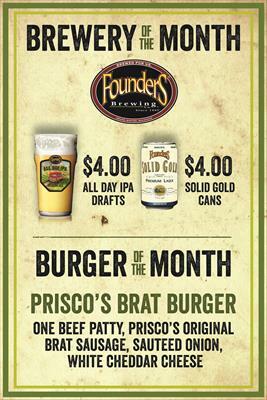 We are happy to welcome Founders Brewing as our April Beer of the Month! 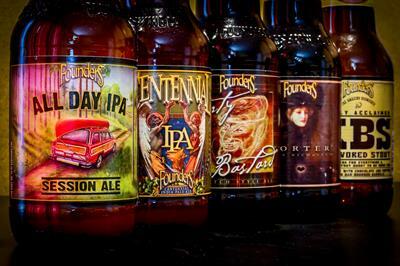 Founders is a brewery from Grand Rapids, MI that since their inception - have been a favorite of beer lovers all over. From their All Day IPA to their Stouts & Porters, they have something for everyone. The White Sox play @ 1 PM and the Cubs play @ 6 PM, so come early or stay late and enjoy your Saturday at Spartan House with great food & drinks!